Debenhams has a good sale on at the moment, with up to 50 per cent off items in all departments, including shoes. 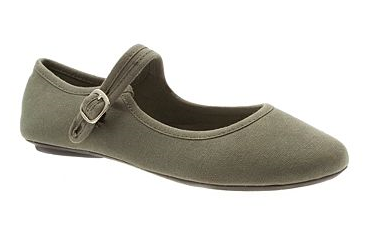 I was pleased to see that there are plenty of pairs of shoes now going for £10 or less. In fairness, some of them are summer shoes and, unless you are going somewhere nice and warm this winter, you will probably want to save them for 2012. 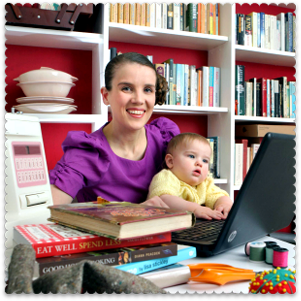 However that’s just the kind of super-organised thing that I do do, so I thought it was worth showing you some of the best bargains here. 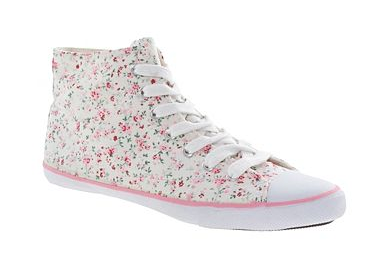 Pink floral lace up canvas hi top pumps . Reduced from £17 to £7. Red qube glitter casual shoe. Reduced from £20 to £7.20. Actually I think these are quite ugly, so I don’t know why I like them… but I do. 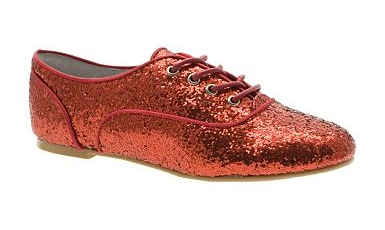 I’m a sucker for sparkly red Dorothy shoes. 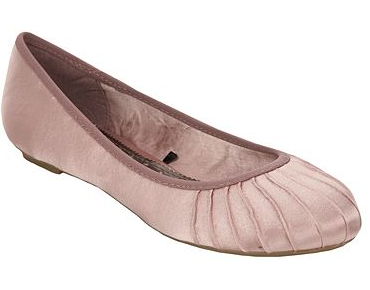 Pink pleated toe satin pumps. Reduced from £14 to £9.80. 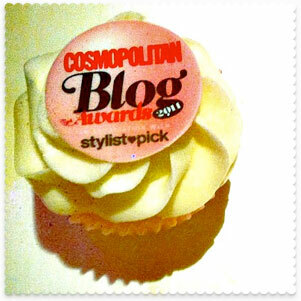 These are also available in dark red and black, for £11.20. Khaki plain strap casual shoes. Reduced from £15 to £8. I like these shoes for summer: they are light, the breathable canvas keeps your feet cool – and they usually go through the washing machine ok, too. 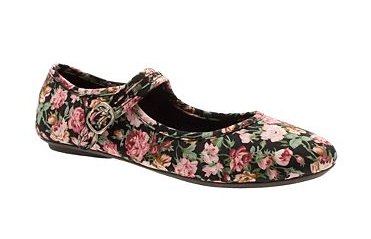 Black floral print bar casual shoes.. Reduced from £15 to £9. I must admit that when I saw these, my first thought was: “OOOH, wouldn’ they look nice with leggings?” While I am (fairly) heavily pregnant, my sartorial world revolves around flat shoes and leggings. MAKE IT STOP. 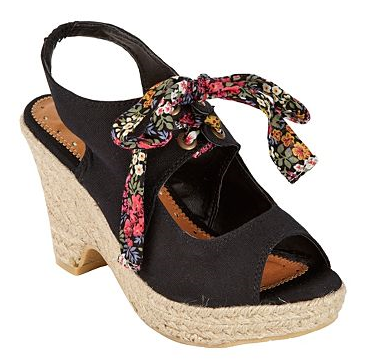 Black tie front espadrille wedge shoes . Reduced from £32 to £9.60. Ah yes, that’s more like it: something totally flouncy and impractical. These are lovely shoes!!! So tempting… Another good deal which worked for me last year was to get winter boots from Jones the bootmaker, but in their kids section, as their size go up to a 4/ 37 (which I am). For £50 I got a pair of boots which I wore day in day out and still look as good as new- although they are black they are far from looking plain, there’s a couple of nice detailing on them. You certainly can’t tell they’re kids boots! I’m so jealous – I’d love to be able to do that. Sadly I am cursed with clodhoppers, which puts paid to plenty of bargain vintage shoes too – they can be hard to come by in size 7! I just love the pump shoes. I know it will provide me with both style and flexibility. I like the way casual shoes are so comfortable and your selection is just what I need.